Good morning lovelies! Hope you are having a great day so far! Hope everyone is safe! I know there was a major line of storms in some parts yesterday! Hopefully you all were not affected! 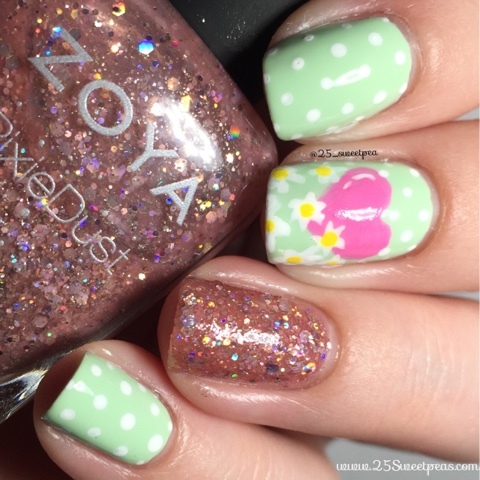 Today for ya I have a fun look inspired by a favorite of mine on Instagram! Let's go check them out! 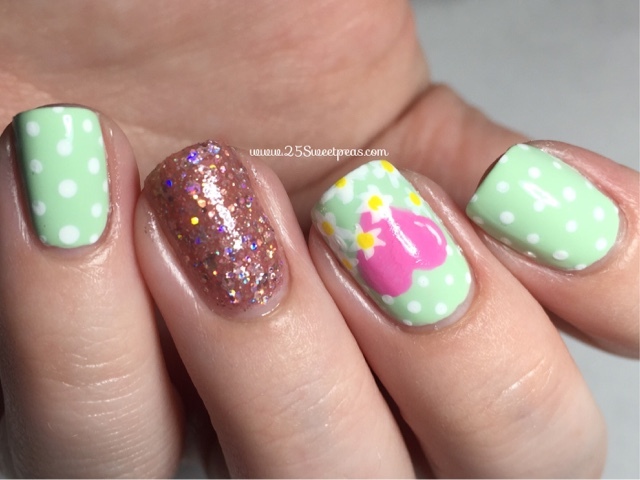 These are inspired by RuthsNailArt. 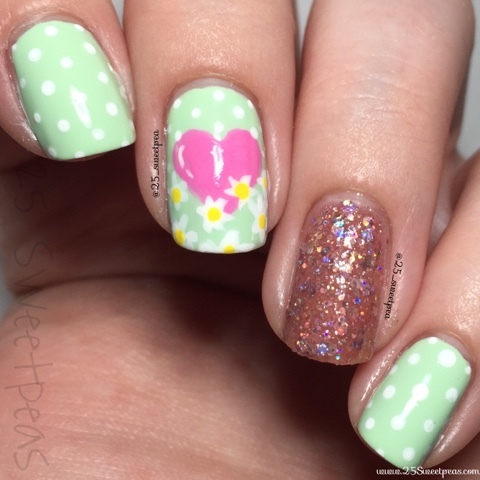 She does amazing work and when I saw her super cute hearts and daisies the other day I knew I had to create something similar. So I changed it up a bit to make it my own and this is what I got! :) I am really liking it! 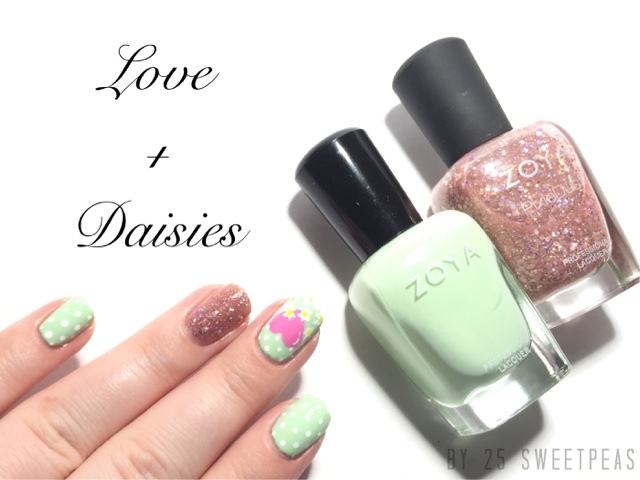 It was super spring like yesterday so I feel like I am just gettin out the spring colors! 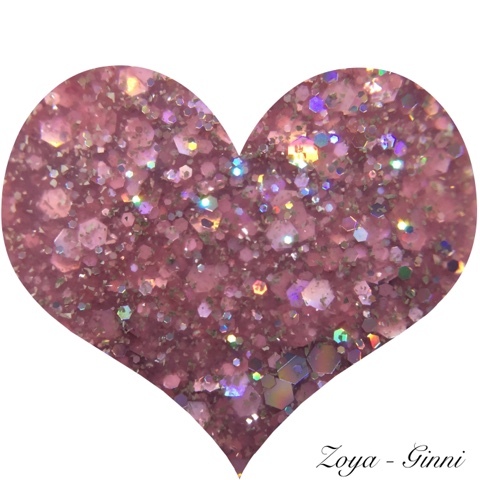 Plus I had some fun with the glitter polish too! 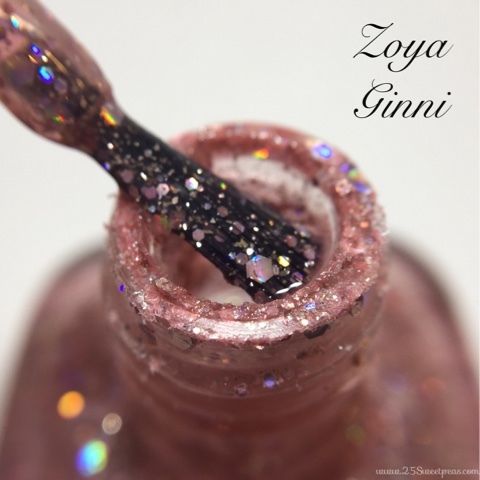 Here is a super close look at Zoya Ginni which is a lovely pink Pixie Dust! One more just cause I like taking pictures like this! Haha!! Well I hope you all enjoyed that video and hope you have a wonderful rest of your day! Thank you so much for stopping by and reading! :) It means a lot!